Once again, I was asked to photograph some of my high school seniors for The West End Compass magazine. Various stores at The Shops at West End provided the clothing, hair styles and makeup, and I provided the photography. It was a really fun experience, and something I look forward to doing again next year. 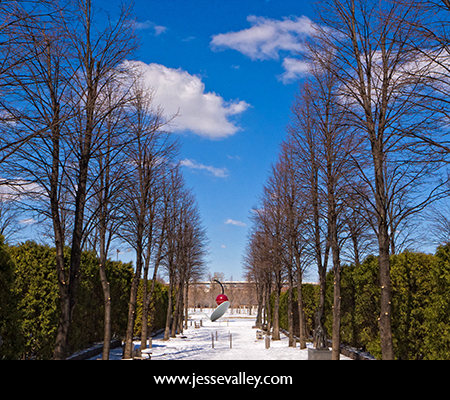 You can read the magazine online by clinking this link (my article starts on page 28). 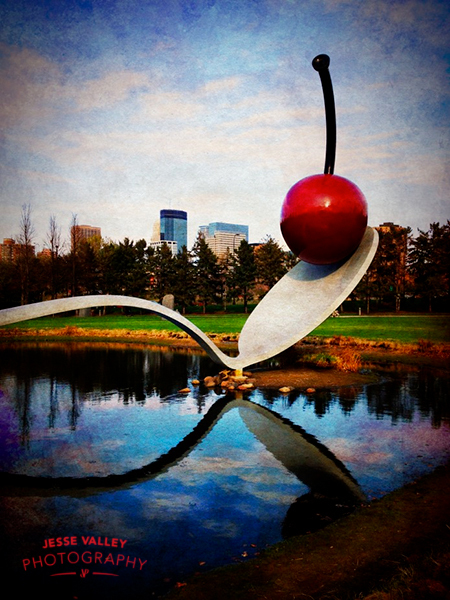 This time a photo taken with my iPhone 4s (“Spoon Bridge and Cherry”) was selected as one of the judge’s favorite photos. I have been very pleased with the quality of the photos my iPhone takes, and often use it for this type of photography. You can see the original link here. In June, I photographed some of my high school age clients for The West End Compass magazine. Various stores at The Shops at West End provided the clothing, hair styles and makeup, and I provided the photography. It was a really fun experience, and something I look forward to doing again next year. You can read the magazine online by clicking here (my article starts on page 46). Photographing Sarah and Vic’s wedding was a lot of fun. 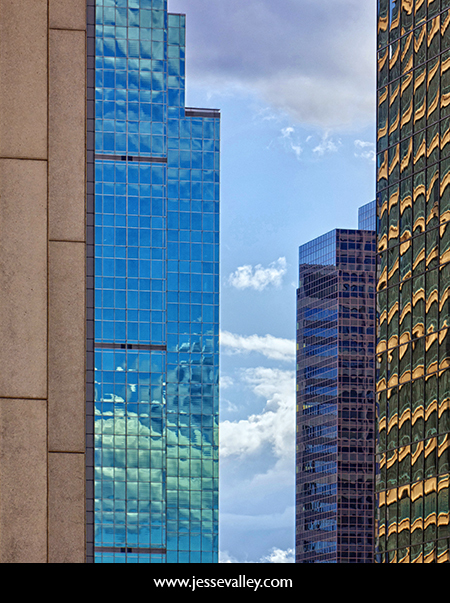 It was a hot and steamy day (so much so that my camera lens fogged up when we left the reception), but they were great sports as we trekked through downtown Minneapolis for some last pictures. I always love it when I get to do some special portraits with the bride and groom alone, and I know it is memorable for them too. The other fun thing from this wedding was doing my first PhotoBooth (which you can read about by clicking here). It is so weird to see the Minneapolis skyline without the inflated dome of the Metrodome, which collapsed under heavy snow. 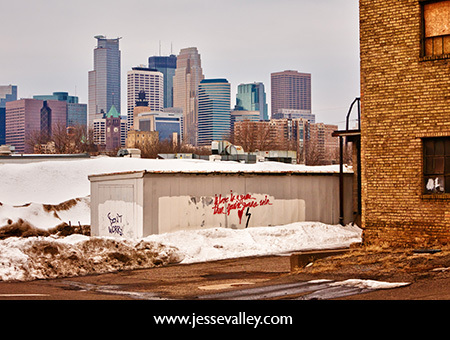 I thought that this was a cool view of Minneapolis, taken from St. Anthony/Main. 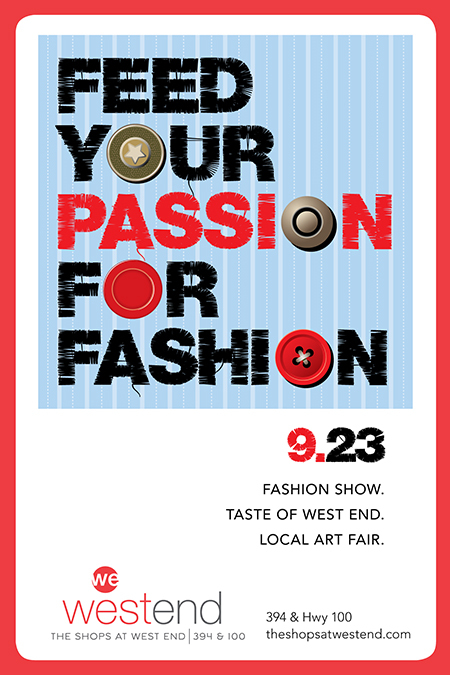 I am really excited to be a part of the inaugural Feed Your Passion for Fashion event on Thursday evening (September 23rd) at the West End in St. Louis Park. I will be there with 44 other local artists, and I will be selling some of my Fine Art photography (including photos from the North Shore). 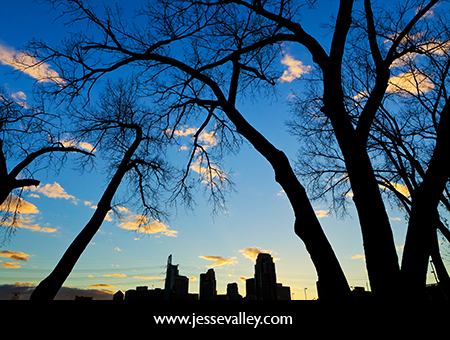 You can see a small sampling of my fine art photography on my website www.jessevalley.com. 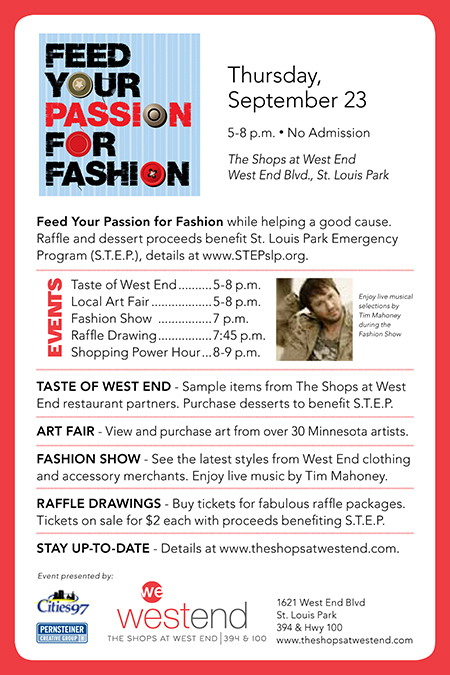 There is a whole bunch of other stuff going on during the art fair, including a fashion show, live music by Tim Mahoney and a raffle to benefit STEP (St. Louis Park Emergency Program). I really hope to see you there!